The reversal strategy in binary options is one of the trading methods that is often used by binary options traders in general. Basically, a "reversal" can be interpreted as a "reversal". In binary options, this reversal can be applied to two things, namely trends and trading positions. Therefore, a reversal strategy in binary options that relies on a trend reversal is called a "trend reversal", while a strategy that utilizes opposite trading positions is better known as a "risk reversal". 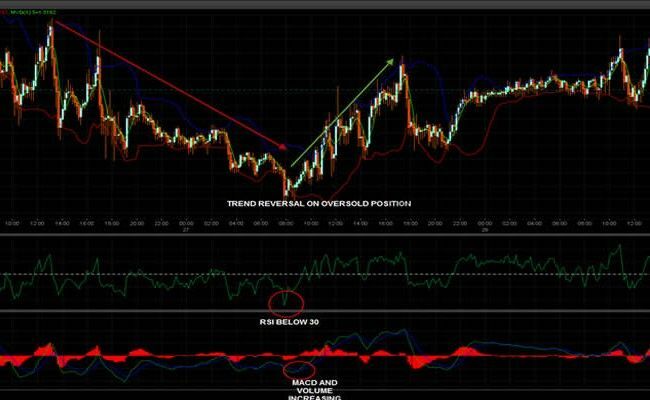 Reversal TrendA reversal strategy that analyzes trend reversals is probably the most common observation method of trading. Many forex spot traders also take advantage of this strategy to enter positions at the beginning of the trend or when prices are formed. The application of a reversal trend strategy in binary options is based on the idea that prices cannot move in the same direction continuously, and a trend reversal will occur at a certain point. Analysis to determine when the price trend will turn into a basis in choosing the right time for the trader to place the option. Trends can be interpreted as the direction of price movements for a certain period of time. With fast trading execution, binary options traders need to take into account the strength of the trend in a certain time frame if the option ends in-the-money. Because the strategy we are discussing is a reversal trend, the focus in using this method is when there is a trend reversal. Here traders are required to be able to determine when the price trend will experience a saturation point and will rise or fall to form a new trend. When this new trend is formed, trader binary options can place the option. What needs to be considered in this strategy is that a new trader can place the option if he is really sure the new trend will start at the previous resistance level or support trend. Traders cannot simply follow the current trend, but must determine the highest or lowest price level before then the price movement will reverse. For example, trader B observes the EUR / USD chart which is now showing a bullish trend. He estimates that this trend will end soon, so it determines the highest point to be able to enter and place the "put" option, because he is sure if after reaching that point, the EUR / USD price will start showing a bearish trend. The highest level of the uptrend can be called "overbought", while the lowest level in the downtrend is "oversold". If the price has reached both points, it is almost certain that the chart will show a new pattern of price formation, so that the previous trend will end. Many traders use this strategy because they want to have a trading position at the beginning of the trend formation, or not just follow it. Entering at the beginning of the trend will certainly open up a greater opportunity to gain profit if the trend will continue in the same period as the fall of your time trading expiry. However, if the purpose of using this trading strategy is to direct the trend to form a new pattern, then certainly this method will not work because no one has that much power to influence market sentiment, except if the trader is trading with fantastic trading volume. 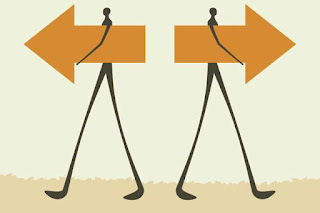 Even then it can only happen if there are other large traders taking the same trading direction. So, keep being realistic and stick to the results of the analysis to be able to recognize the price reversal correctly. In addition, this binary options reversal trend also observes sudden price movements. If the price suddenly jumps up or down, then the position will soon be predicted to return to normal. Therefore, it is not surprising that traders who use this strategy often rely on their binary option trading on the sudden movement of the price of an instrument. An easy way to determine trend reversals is through trading analysis, both technical and fundamental. Fundamental analysis is based on economic news from countries that hold major currencies. The greater the influence of the news, the higher the price increase caused by the news. For example, US NFP has a very large portion of changes in rising and falling USD values. If the result is positive, the Greenback can be pushed up, but if it turns out to be negative, then the US Dollar will also weaken. The timetable for the news to fall like that can be used as a guide in determining when the price trend will experience a reversal. In this case, knowing the forecast (prediction) of the data results, or continuing to monitor news developments can be the method used to estimate the formation of new trends. If a high-impact data has good results, then the price can move up and start a bullish trend even though some time before it was experiencing a downtrend. One simple strategy for recognizing technical trend reversals is to pay attention to the formation of price trends and trading volumes. If both indicators move in the same direction, then the trend will continue. But if there is a difference, such as rising price trends but the trading volume actually falls, the reversal is alleged to be imminent. In this case, the bullish trend will soon be replaced by a bearish trend. The RSI indicator (Relative Strength Index) can be used to track overbought and oversold positions. To take advantage of the use of this indicator, you can pay attention to overbought points before placing the "put" option. Conversely, if the price level indicates the price condition is being oversold, then you can get ready to do the "call" option. Levels that are set to see overbought and oversold positions are 30 and 70. If the chart crosses level 30, then the price can be said to be oversold, while to determine the achievement of overbought, the chart must break the level 70 first. The MACD indicator (Moving Average Convergence Divergence) uses an ongoing price condition to calculate the 26 and 12 EMA (Exponential Moving Average) differences from the instrument being traded. In using the reversal binary options strategy, EMA 9 is recommended to be used as a price reversal level. When MACD moves above level 9, it can be a good signal to do the "call" option. When MACD moves below level 9, the more appropriate option to do is "put". From the picture, it appears that the price reaches the lowest point when the RSI indicator is also below level 30. The reversal signal is increasingly confirmed by MACD which shows a crossing above level 9. If applying the reversal binary options strategy, the most suitable option to be placed is "call " This very strong signal also gives more freedom to the time expiry time that will be selected before placing the option, because from these observations, the price will definitely rise higher than the lowest point, and the uptrend usually lasts for a long time before the price reaches back that point again. You probably don't need a specific indicator to do this analysis. 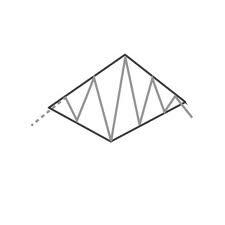 This diamond pattern can be formed from price formation patterns that can also be observed in plain view. There are two patterns that can be used for reversal binary options trend strategies, namely diamond top and diamond bottom. A diamond top pattern will form when the uptrend reaches its peak. At this point, the bullish trend has completed its strengthening and will tend to experience ranging for some time. The next most likely price formation is the length of the wave which leads to a shift in prices to a lower level. In this case, you can anticipate breakout points to determine different trading positions from the trend direction. The diamond bottom pattern also sees the formation of the bottom of the downtrend. Here, you need to pay attention to the wave that starts to look flat to recognize the reversal signal. In this way, you can easily estimate the position of the breakout up to place the "call" option. The trading position is placed with an estimate that the "call" option will coincide with a bullish trend that will be formed some time later. This method is very useful for binary options traders because of its ease which does not require the role of technical indicators. As we have seen, online trading platforms from binary options brokers sometimes do not facilitate their clients with technical indicators. Some of them even only present bar or line charts. If your choice falls to brokers like this, the analysis with diamond patterns is very useful to help you recognize technical reversal trends. The reversal strategy of this type is done by utilizing the opposite trading position. To do a risk reversal in binary options, you only need to do 2 different position transactions at the same time. This method is a bit similar to a hedging strategy, because the trading size of one option can be modified to increase profit opportunities and minimize risk. This strategy is very easy to apply for forex trading binary options. The correlation between currency pairs can be a guarantee of trading risk reduction. For example, a positive correlation of EUR / USD and GBP / USD can be used to open two opposite options. Thus, if one of your predictions turns out not to be on target, the loss from out-of-the-money trading can be covered by the acquisition of the only trading position that ends in-the-money. Even though your trading risk can be maintained by placing the same trading size, it does not mean you can leave the trading analysis, then set two options opposite without looking at the market situation first. If you want to get more profit, you must be more confident in one of the trading positions to determine a larger trading size. For example, you place the option "put" with a capital of $ 300 and a return level of 80% for EUR / USD. At the same time, you also open the "call" option for GBP / USD with a capital of $ 200 and an 80% profit level with the same expiry time limit. Your assumption is that the Fed's decision to release in the near future will tend to be dovish and drag the USD value down. But you are also not sure if the Fed will realize these expectations. Because you are more confident that the Fed will cut bank interest rates, the "put" option is placed with greater capital. If your estimate is correct, then you can get a total return of $ 540 and lose $ 200 from the "call" trading option. The total profit you earn from this method is $ 240. But if your beliefs are not proven, the profit you get from the "call" option is $ 360 with a capital loss from the "put" trading position of $ 300. That way, you still get $ 60 profit even if the end result is not in line with your predictions. However, keep in mind that this risk reversal strategy is not without risk at all. You need to be aware of the type of trading you use, because some types of trading require a price that is higher or lower than the strike price. For this reason, make sure that the trading calculations that you have done before are truly integrated with the risk reversal binary options strategy, so this method can be truly useful to at least secure the risk of loss and not increase the likelihood of loss. Both trend reversal and risk reversal have their own advantages and risks, and can only be managed by directed trading analysis and measurable risk management. With these two options, you can determine whether you are more free to trade with a trend reversal (trend reversal) or take advantage of the opposite trading position (risk reversal). If it can be applied well into the appropriate binary options trading methods, then it is possible that this strategy can lead you to success in trading.